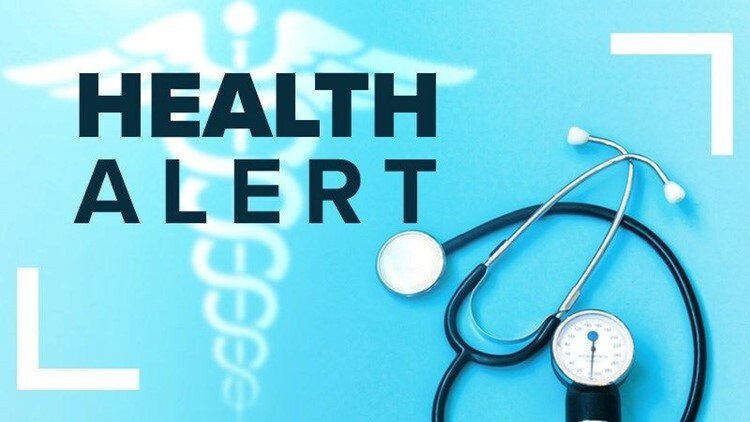 LOS ANGELES (AP) — The number of cases of sexually transmitted diseases in California reached a record high last year and officials are particularly concerned by a spike in stillbirths due to congenital syphilis, state health authorities said Monday. More than 300,000 cases of chlamydia, gonorrhea and syphilis were reported in 2017, a 45 percent increase from five years ago, according to data released by the California Department of Public Health. "For California to have a steady increase in congenital syphilis is shameful," said Dr. Jeffrey Klausner, a professor of medicine at University of California, Los Angeles. He pointed to nations such as Cuba, Thailand and Belarus that have nearly eliminated the life-threatening infection seen in infants. "We've known how to control syphilis since early 1900s. Seeing it come back like this is a sign of failure of the public health safety net," Klausner said. Klausner placed much of the blame for the overall STD spike on what he called the "decimation" of public health infrastructure since the 2008 financial crisis. Funding slashed a decade ago hasn't been restored, leading to continued closing of clinics and collapse of education programs about risks and treatment options. Dr. Heidi Bauer, chief of the state health department's STD Control Branch, agreed that budget issues are part of the problem. She estimated that about $20 million in state and federal money is allocated yearly to fighting STDs — a small number in a state with nearly 40 million residents. "For sexual health, primary care wasn't the most effective method," Bauer said. Someone who depended on public clinics for STD screening and treatment may not want to discuss it with their doctor, or may not have a doctor at all, she said. The health department is spearheading a "multi-pronged" effort to educate the public about the risks and get the word out to medical providers about the latest advances in screening and treatment, Bauer said. "While there are advocates and champions for cancer, nobody is out there saying, 'I have gonorrhea and these are the best ways to treat it.' There's no one out there being a champion for these conditions," said Klausner. The health department's director, Dr. Karen Smith, urged sexually active people to use condoms and get tested regularly. Many STDs can be cured with antibiotics if attacked quickly. Rates for chlamydia, gonorrhea, and syphilis have been rising nationally for several years. More than two million new cases of all three infections were reported in the United States in 2016 — the most ever, according to the Centers for Disease Control and Prevention. CDC numbers for 2017 won't be available until later this year.